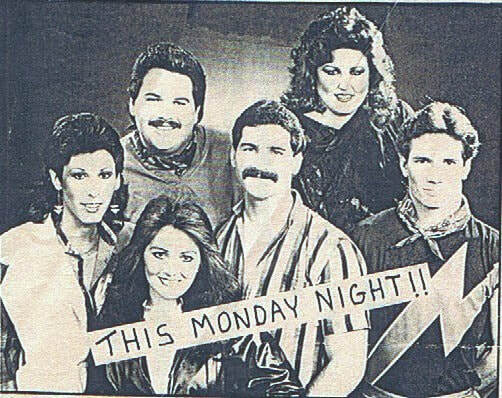 SURRENDER was a contemporary Christian band that traveled throughout the southeast region of the United States during the mid-1980's. 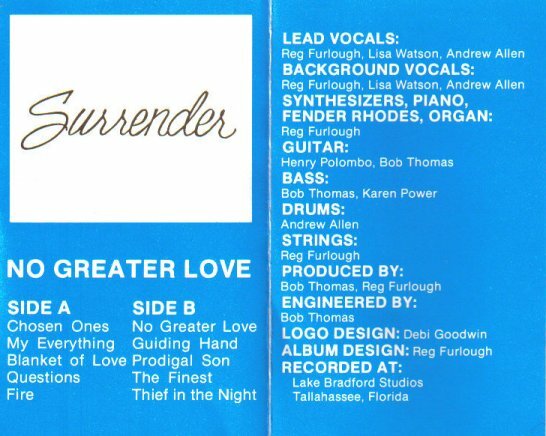 All music was original by the band members. 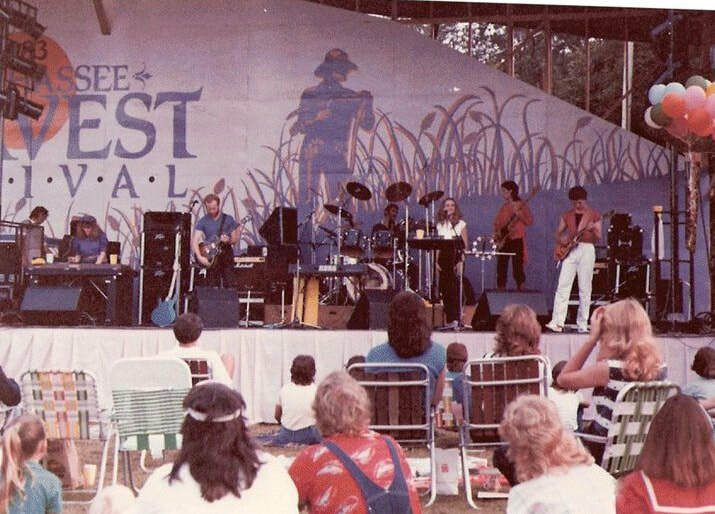 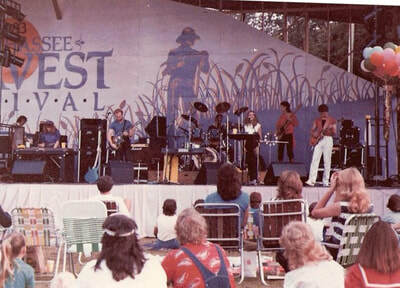 SURRENDER opened for the annual Tallahassee Harvest Festival in 1983, and for other Christian groups that did concerts in Tallahassee such as: DeGarmo & Key, Phil Keaggy, David English, Mylon LeFevre & Broken Heart, Farrell & Farrell, and David & the Giants. 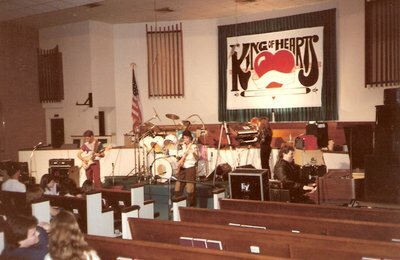 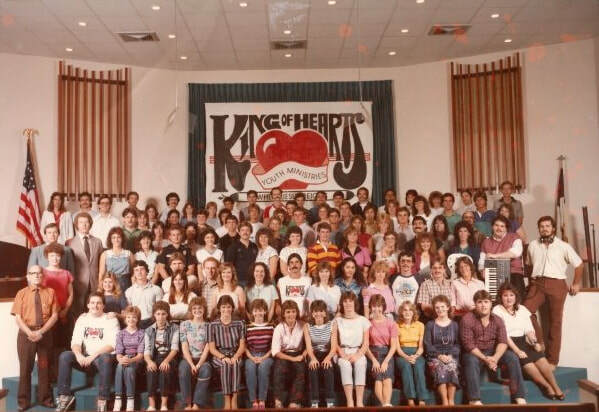 They were also the house band for the King of Hearts Youth Group at Evangel Assembly of God, Tallahassee, FL with Youth Pastor, Steve Hill where several hundred teens attended each week.